Charanga Musical School reflects the new National Curriculum stated Purpose of Study and Aims. Music is a universal language that embodies one of the highest forms of creativity. A high quality music education should engage and inspire pupils to develop a love of music and their talent as musicians, and so increase their self-confidence, creativity and sense of achievement. As pupils progress, they should develop a critical engagement with music, allowing them to compose, and to listen with discrimination to the best in the musical canon. Through the Musical School programme the children develop their understanding, make musical judgements, apply their new learning, develop their aural memory, express themselves physically, emotionally and through discussion and create their own musical ideas. The wide range of core resources have been developed specifically to motivate and capture each individual’s personal interest. The children not only learn about music; they become musicians who are able to share and perform using their new skills. There are 3 main resource areas: Units of Work, themed Topic songs and activities and instrumental Courses. The Units of Work are the main focal point for the music curriculum whilst the Topics and Courses provide a wealth of extension, enhancement and cross-curricular possibilities and experiences. The Units of Work are divided into 6 steps, ideal to spread across a half term but can be used more flexibly to suit your school timetable. The activities and games cover the musical dimensions, (formerly elements – pulse, rhythm, pitch etc) through singing and playing instruments, listening and creating music – all intrinsically linked through a central song or piece. Musical School has been developed to provide a range of materials from across the ages and around the world. The Units include listening pieces such as Miriam Makeba’s Click Song, Handel’s Let the Bright Seraphim and Britten’s Old Abram Brown as well as more contemporary pieces including well known pop songs, in a broad range of styles. 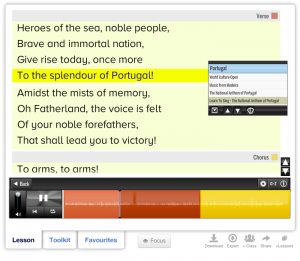 Additionally there are Topics, which are collections of songs and activities, based on a range of themes including National Anthems from around the world, English Folk Songs and Great Composers. The instrumental Courses focus on specific instrumental learning and musical traditions and explore history and context as well as developing performing skills eg Djembe drumming, Hip Hop and the Blues. Singing is central to Musical School with the Units based around songs with differentiated instrumental parts for 24 instruments. They have been created to support a class ensemble approach where each child can sing and play an appropriate instrumental line. This helps to draw together children’s learning together into a meaningful ‘musical experience’. Improvisation and composition for voices and instruments form part of each Unit and can be used as starting points for further creative work. Musical School is supported with onscreen resources at every step and between lessons the children can access Charanga Music World, a safe online space to learn, explore and develop their playing, creative and musicianship skills. Click to view the resource Throughout Musical School the children are encouraged to behave as musicians and explore the dimensions using their voices, body percussion and instruments. Staff and other notations can be introduced gradually supporting musical development so that the children sing and play first before being shown how this can be represented on a score. 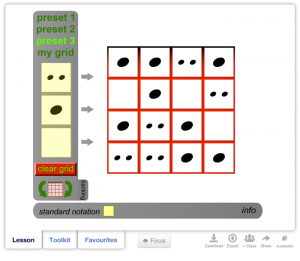 There are numerous resources to support this such as the rhythm grids, the Musitrax course which introduce rhythm patterns, a reduced staff and then full staff notation. There is also a vast library of notated pieces for all instruments. The desired learning intentions for primary music outlined in the programmes of study can be met practically through Musical School. Here we have focused on KS2 although this would work in the same way for KS1. 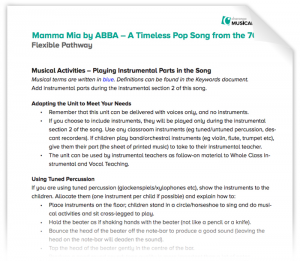 Click to view the resource For the purpose of this comparison we have focused predominantly on a single Unit of Work as an example (Mamma Mia) and make reference to the Topics and Courses as appropriate. It should be noted that the NC programme of study is designed to be fulfilled over the whole Key Stage and at times it may be appropriate to focus on a specific aspect such as Instrumental First Access whole-class ensemble tuition (Wider Opportunities). 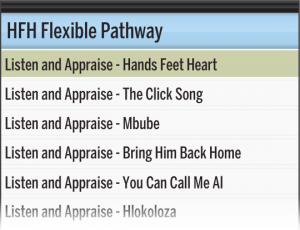 A key feature of Musical School is that there is the breadth and flexibility to create a unique music plan for your school. play and perform in solo and ensemble contexts, using their voices and playing musical instruments with increasing accuracy, fluency, control and expression. Singing is central to Musical School. 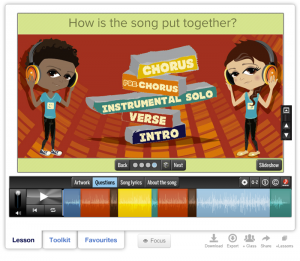 The current Units of Work are based around a song and the Topics offer themed songs and activities. 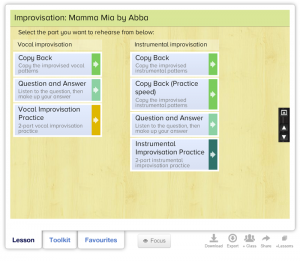 Click to view the resource Performing vocally and with instruments is central to Musical School. The current Units of Work are based around a central song with instrumental parts. The ‘quality’ of the playing and singing; the accuracy, fluency, control and expression is of the utmost importance. Every Unit provides vocal guidance for teachers and at all times the children are expected to reflect on their own contribution using skills which have been developed in the appraising section of the lessons. The children are encouraged to explore the quality of the vocal sounds through pitch games. All of the songs have unison (single vocal line) and some have two parts at certain points in the song – such as Don’t Stop Believin’. There are instrumental parts to go with all the Units of Work and they cover 24 different instruments. All the instrumental parts are differentiated to challenge each child depending on their age and previous music-making experience. The simplest two parts are modelled on glockenspiel and recorder although these can be substituted with other instruments which you may have available. It is intended that these parts are initially learnt by ear but the printed notated parts are available to use for extension work and for those who already read music. The trickier melody line is designed for the children who are more advanced on an instrument eg flute or violin, encouraging them to take a lead and share their expertise. This approach results in an exciting, varied classroom ensemble and encourages a joined up musical experience for the children drawing together their curriculum and instrumental learning. Click to open the pdfAgain there is support for teachers such as how to handle the instruments and how to rehearse to ensure accuracy and control. Improving and refining vocal and instrumental skills is essential musical behaviour and this is built into the activities and guidance provided. A good performance draws together these musical skills and combines a sensitive approach with clear communication of the material. Such understanding is developed through becoming familiar and immersed in the music, through repetition, listening, contrasting, improvising, composing – all activities which are encouraged through the Units. The children are also expected to consider the broader aspects of performance – who will introduce their piece, will there be any dancing or artwork, how will they finish and so on. improvise and compose music for a range of purposes using the inter-related dimensions of music. Click to view the resource Improvising comes very naturally to children, very small children will hum, sing, clap rhythms spontaneously and a walk across any playground will result in hearing many original songs and chants. Improvisation, for voice and instruments is introduced through copy-back and question and answer games, using ideas and concepts that the children are familiar with. This allows the children to explore and combine the musical dimensions. Whereas improvisation is ‘in the moment’, composition is ‘captured’ in some way perhaps with notation or as a graphic score allowing others to perform it. Within the Units of Work, the composition tool is intended as a starting point for class, small group and individual composition work. These compositions are created within a musical framework which reflects the purpose and context of the music. They can be saved, played back and developed using instrument and ICT. Click to view the resource Charanga Musical School Units of Work offer a broad range of repertoire for children to listen to and compare. Through questioning, the children are encouraged to consider and mimic the sounds they hear, identify instruments or voices used, and use musical language to describe the style, how is the piece structured and so on. Cues for these questions are provided along with the answers. The games tracks provide opportunities for copying and creating musical phrases combining and exploring the musical dimensions. 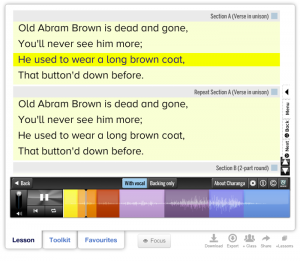 New songs are introduced as a whole and then broken into verses or sections to aid learning. The instrumental parts are introduced with prompts and by ear encouraging the children to match pitch, repeat and memorise. It is vitally important that musical sound precedes visual representation but learning to read staff and other musical notations opens a huge library of music. The Musical Toolkit contains interactive resources such as ‘Staves and Clefs’ to support the introduction and understanding of staff notation and this is reinforced across the programme. Most of the rhythm grids display ‘blobs’ which can be switched into notes by ticking the standard notation box. There is also a graphic symbol version which can be used to represent vocal sounds, body percussion, instrumental notes and so on. Additionally the instrumental parts in the Units of Work are provided as printable PDFs so once the children are familiar with the sound you can introduce the visual representation. 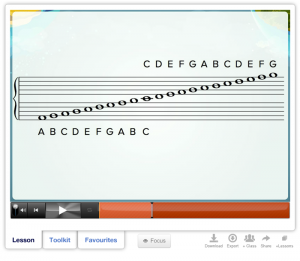 The instrumental courses feature on screen and printable notated parts. Through composition there are many ways to explore the understanding of notation. The children can perhaps start recording their compositions with letter names or graphic representations but this can lead to using simple notation as their understanding develops. 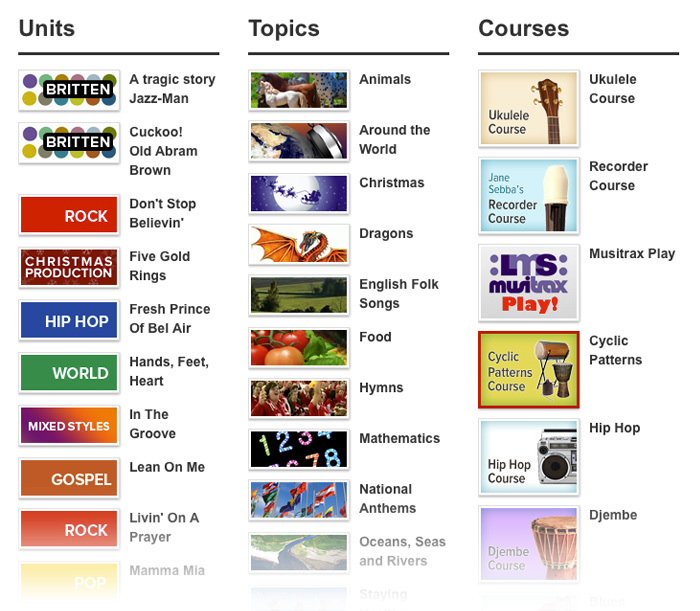 Click to view the resource The Units of Work from Musical School include a wide range of music through history and from around the world. The Britten Units celebrate the music of Benjamin Britten and there are Topics such as English Folk Songs and National Anthems which provide a breadth of songs and activities. In the Gospel Unit Lean on Me, the children have an opportunity to appraise Beethoven’s Ode to Joy. He has been recognised as one of the great composers. The extension activities in each Unit encourage further listening and research into many styles and traditions. 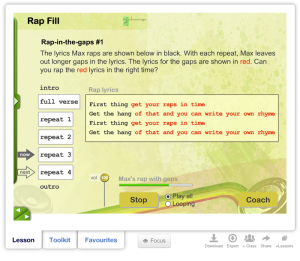 Click to view the resource The accompanying Courses offer additional opportunities such as the Cyclic Patterns Course based on the music from Ghana and the Hip Hop Course which explores composition, lyric-writing, sampling and sequencing. The music is presented in many different ways. 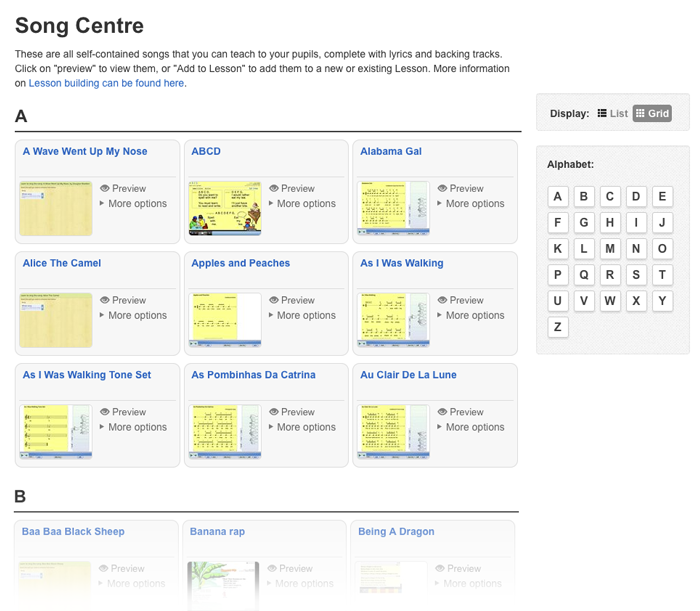 Some of it has been recorded in studios by well-known artists, other music is less formally collected, some is video and some audio – all of the resources come with some contextual information for teachers. Schools are encouraged to contact their local Music Education Hub for details of live performance opportunities. Click to view the resource It is essential to understand the way music has evolved over the years as this can provide a context and purpose for the song or piece. 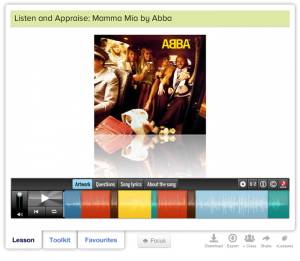 The Listen and Appraise section in every Unit provides the children with many examples. 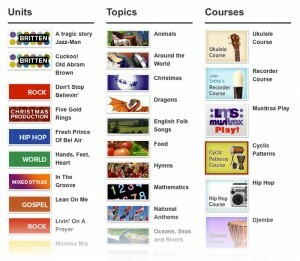 The background is given for all the songs in the Units on the screen entitled ‘About the Song’ and in the lesson plans. 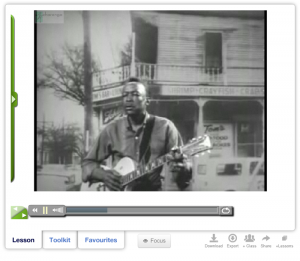 The instrumental Courses such as the Blues Course reflect a specific genre, era or style of music and the background and history of the music is given on the screen and in the planning documents. 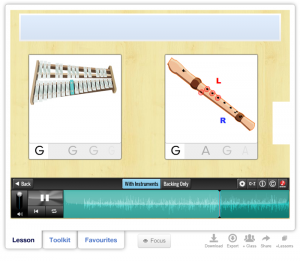 Click to download the sample music planCharanga Musical School has been developed to allow teachers maximum flexibility. The Units of Work, themed Topics and instrumental Courses can be combined in the best way to suit your children and the whole school curriculum. 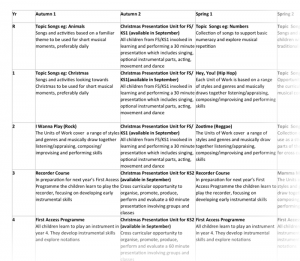 It is essential that the children cover all aspects of the curriculum through the Key Stage although there may be times when you wish to focus on a specific aspect eg First Access, whole-class ensemble work or a seasonal performance. We have provided a starting point of how this can work in practice, but you will want to change this to suit your school calendar, taking into account local events and celebrations. 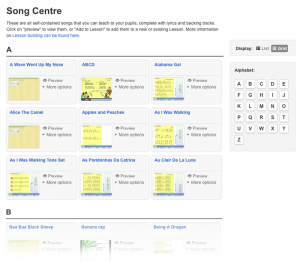 You can decide whether to just use Units of Work or whether you want to combine these with the Topics and Courses or other favourite resources.